Live at the Maracana Stadium, Rio de Janeiro, Brazil, December 8, 2007. Live at Le Spectrum, Montreal, Quebec, Canada, August 2, 1983. Much has been said about the S$600 price ticket for the $ingapore show - as compared to the MOP$1,200 (about S$211) that Macau fans paid for the best seats - but when The Police played $heep City on January 4, 2008, the group even cut down two songs from its usual playlist - Truth Hits Everybody and Walking In Your Footsteps. Well, The Police didn't exactly take the money and run. They did put on a show - they did about the same thing they had been doing on this tour and that means no surprises. The group's current reunion tour was the highest-grossing tour of 2007, collecting more than US$200 million in concert revenue, and it looks like it will rake in more in 2008. As Paul Cashmere of undercover.com.au said after the Melbourne gig: "Maybe they should just level with the fans and call this 'The Retirement Fund World Tour'." 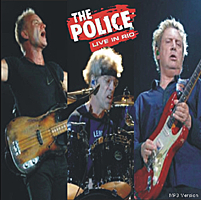 Thanks to maidensp, who shared the lossless tracks - taken from a TV broadcast of the December 8, 2007 Rio de Janeiro show - on the internet, here's a more reasonable way of enjoying the Police concert, without the hefty prices. Here are seven tracks from the Rio show. Throughout, the sound is excellent. Those who want the entire Rio show can download the lossless flac files from The Traders' Den site: http://www.thetradersden.org/forums/showthread.php?t=50111. Tomorrow, we will offer The Police live in Montreal, Canada (Swingin' Pig TSP116, 1CD), to give an idea of what the group sounded like 25 years ago (August 2, 1983). Taken from a TV broadcast, the sound is excellent too. For those who still remember, The Police had an enjoyable great bunch of songs. And if you have seen footage of the Rio de Janeiro show, Sting hardly needed to prance about - he was behind the mike stand most of the time with his bass guitar. It looked as if drummer Stewart Copeland was the more physical - moving between the drums and the percussion sets. 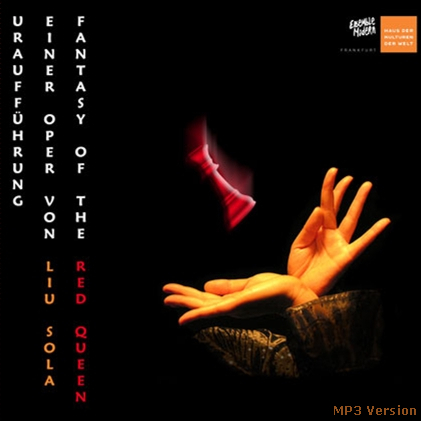 As the wikipedia reported: "With some songs, most notably Don't Stand So Close To Me, [this] is slowed down to accent the powerful lyrics of the song. During the songs Wrapped Around Your Finger, Walking In Your Footsteps and King Of Pain, Stewart Copeland uses many different percussion instruments as well as regular drums." "The songs have to evolve. Twenty-odd years later we have to be better musicians than we were. So we've slowed it all down, looked at where we are, and how the songs are now happening by listening to ourselves play them," said Sting in the 2007-2008 tour programme.